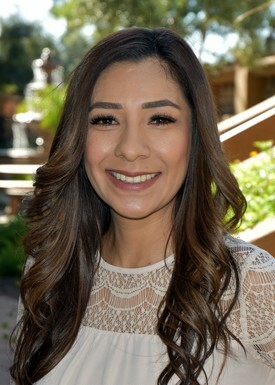 Dr. Blazer and her team are dedicated to making your “dental experience” a positive one. From the moment you walk into our office, you will be treated with respect and kindness. We understand that new patients come to us oftentimes fearful, or in pain, not knowing what to expect. Our goal is to turn those feelings of fear and pain into ones of trust and comfort. Dr. Blazer also believes in the importance of communication. Before any treatment is provided, you will know how much it is likely to cost and how long the procedure will take. When was the last time that happened at your physician’s office? Dr. Blazer also respects your time. If we expect you to show up on time for your appointments in our office, we must respect your time as well. If we are running behind schedule, we will call you to let you know, or reschedule your appointment if it is necessary. If it is difficult for you to schedule an appointment in advance, we can contact you with last-minute appointments that work with your busy schedule. When you enter our practice, you will feel a different “vibe”, you’ll see. 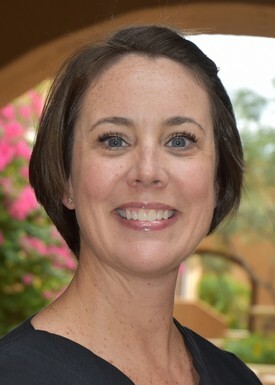 I moved to Arizona with my husband from Birmingham, MI. and I have been working in Dr. Blazer's office since 2006. Our 3 children and 6 grandchildren live in various parts of the country. I have a degree in Psychology from Oakland University. I have worked in the medical/dental field for more than 25 years. Before moving to AZ, I worked at a dental office in West Bloomfield, MI for six years. I enjoy both the staff and the patients at Dr. Blazer’s office. I most enjoy the “customer service” aspect of Dr. Blazer’s practice. When not at work I try to take advantage of all the wonderful outdoor activities available in AZ. I enjoy reading, hiking, tennis and spending as much time as possible with my family. 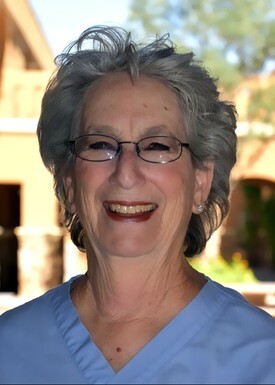 I have worked with Dr. Blazer since 2006 and have been a dental hygienist since 1973. I hold an AA degree from the University of Florida and an AS degree in dental hygiene from St. Petersburg College. I was raised in Miami, Florida and lived in the Tampa Bay and Atlanta areas before moving to Arizona. I have been married 46 years. My son, daughter-in-law, and two young granddaughters live nearby. Seeing them frequently is wonderful. Away from the office I enjoy cooking, traveling, working in my yard and participating in a couples movie club with my husband. I was born and raised in Oklahoma and graduated from the University of Oklahoma College of Dentistry in 1999. BOOMER!!! I've known I wanted to be a dental hygienist since I was in 2nd grade and it all started with a sticker that my dental hygienist gave me (I still have the sticker!). 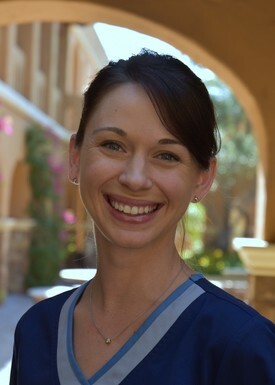 I love being a hygienist and am thrilled to be a part of Dr. Blazer's top-notch team. I moved to Phoenix in 2005 when I married my husband whom I met online... yes, we're one of those couples. We have two wonderful children and a boxer dog that we absolutely adore. I enjoy watching my kiddos play soccer, traveling, reading Harry Potter with the kids and family game nights. 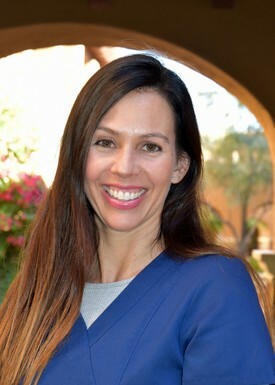 My name is Kim, and I have been working in Dr. Blazer’s practice since 2013. I am extremely excited to be working here with Dr. Blazer and her awesome staff. I was born in Nevada, but I have spent the majority of my life in Arizona. I have been a dental assistant for approximately 19 years, and I love it. I am married to my childhood friend, Wayne. We have three sons, Joshua, Dylan and Nicholas. Dylan is currently serving our country in the capacity of a United States Marine, and is stationed in Hawaii. Nicholas just joined the Arizona Army National Guard. We are very proud of them. I enjoy traveling, shopping, exercising and bugging my husband (just kidding on that last part). Originally from Southern California, I moved to Phoenix in 2002. 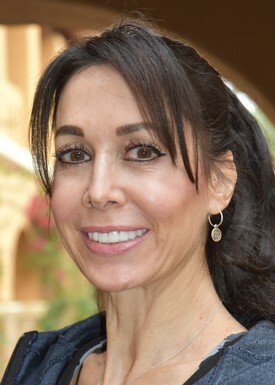 Having enjoyed over 13 years in oral surgery, from assisting on procedures to front office management, it was a privilege to join Dr. Blazer's staff in 2015. Dr. Blazer is truly a joy and I appreciate working for such a talented professional. My husband and I were married in 2002 and enjoy our two energetic children that keep us quite busy. There is never a dull moment in our house! As a family, we all enjoy hiking, playing sports, traveling and spending time with our fun filled dogs. I have had the pleasure of working with these wonderful ladies since early 2016. 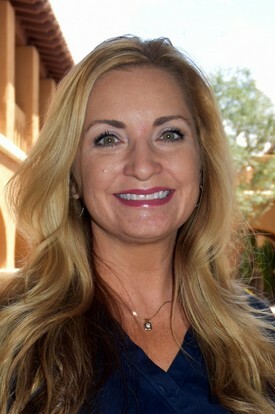 I started in dentistry over 25 years ago as an assistant and after several years moved to the front office. I really enjoy getting to know the patients and making them feel comfortable. This office feels like one big happy family! I am a native of Arizona and have lived in many of our small towns. I married Tom in 1980 (very young) and we have two beautiful daughters and four wonderful grandchildren. In my down time, I enjoy cooking (my husband is an eater so it works out well), traveling, crafting, walking our dogs and spending as much time as possible with those grandkids! My name is Virginia. I was born in Southern California where I was first introduced to the dental field by my childhood dentist. In 2002 I moved to Las Vegas, NV where I had the amazing opportunity to work for a pediatric dentist for 10+ years. My family and I then re-located to Sacramento, CA where we spent four years. I enjoyed exploring beautiful Northern California with my two daughters and my right hand man. In Sacramento I made the transition from a pediatric practice to general practice. 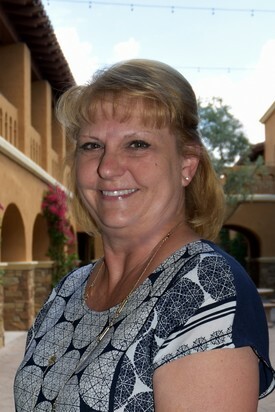 Now I find my self in Arizona working for Dr. Blazer one of the most generous amazing women I have ever met. I enjoy traveling with my family and getting to know new places. My name is Nicole. I am very excited to be a part of Dr Blazer’s practice! I have been a Dental Hygienist since 2010. I am Native to Arizona. My two sons and my two dogs keep me very busy! I was born and raised in Michigan and graduated with a Bachelor of Science degree and dental hygiene certification from the University of Detroit Mercy School of Dentistry in 1985. The math puts me at being a dental hygienist going on 34 years now, and I still love it! My husband, two daughters and I moved to Arizona in 1995. Five years later we added a son to our family, followed by three dogs and a cat. Needless to say, I live a very active life. I enjoy hiking, exercising, cooking, fashion (aka shopping aka retail therapy), movies, singing like no one is listening, and dancing like nobody’s watching.